As pioneer of home networks, R&M has paved the way for sophisticated multimedia applications to be brought into private apartments. The second generation of home wiring has now been launched: HWSforte. The modular system offers home owners flexibility for the future. The R&M engineers have packed 15 years of practical experience into the second generation of the Homewiring System (HWS). The result of the new development is a truly groundbreaking cabling platform – modular, adaptable, fit for the future and easy to install. 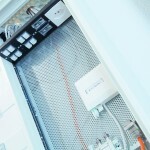 The HWSforte Homewiring System supports a wide range of combinations of Fiber in the Home (FitH), Coax and Ethernet cabling. 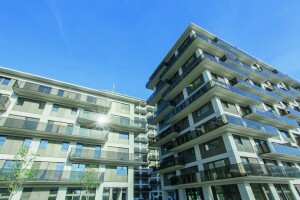 It is compliant with leading Swiss standards. Hybrid solutions allow for the seamless integration of copper and fiber-optic cabling. HWSforte therefore covers the networking needs of private households, home offices, small firms and similar installations for the next 30 years. 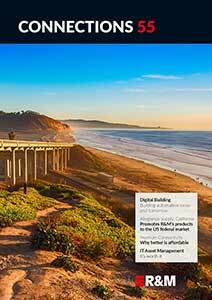 R&M supplies retrofit scenarios for modernization. This means that even older houses can be transformed into smart homes or prepared for “All over IP” applications. The product range includes extra-thin copper cable for retrofitting in narrow empty tubes and versatile distribution kits. The HWSforte multimedia outlet is a perfect example of the system’s flexibility. It can be equipped in line with the customer’s preferences or the network operator’s specifications. This means real estate owners’ hands are not tied when it comes to selecting TV, telephone and IP providers. 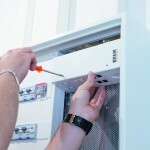 The body of the outlet and the module holder have been specially designed so that Coax and RJ45 connections can be fitted independently from one another in just a few simple steps. 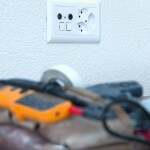 The HF part of the outlet can be replaced or adapted without having to re-install the Coax cable. 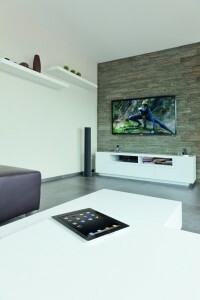 It supports high-end applications such as DOCSIS 3.1 and transmission technology of the future. The RJ45 modules – regardless of whether these are Cat. 5e or Cat. 6A EL – are wired outside and then inserted into the holder from the front. One click is all it takes for the modules to sit securely in the outlet. Chinch sockets, loudspeaker connections and optical connectors can all be inserted with equal ease.